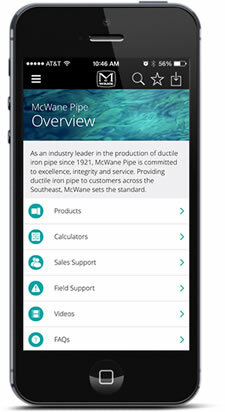 McWane Gulf is a division of McWane, Inc. We produce valves, hydrants, ductile iron fittings, cast iron soil pipe/ fittings and drainage products in collaboration with the other McWane group family of companies around the world. For generations, McWane has been a global leader in water distribution, infrastructure and a critical supplier to the function and development of sanitary plumbing and clean waterworks systems throughout the world. McWane Gulf products are manufactured to ISO/EN standards and made to meet stringent Middle East customer specification requirements. We are dedicated to supplying quality products that ensure customer satisfaction and exceed customer service expectations. We provide the knowledge, technology and products to efficiently and effectively serve the industry's changing needs.